Sometimes, it can be really refreshing to just hear music being performed in a live setting with no ego. No fancy lights, no background imagery, just music speaking for itself. 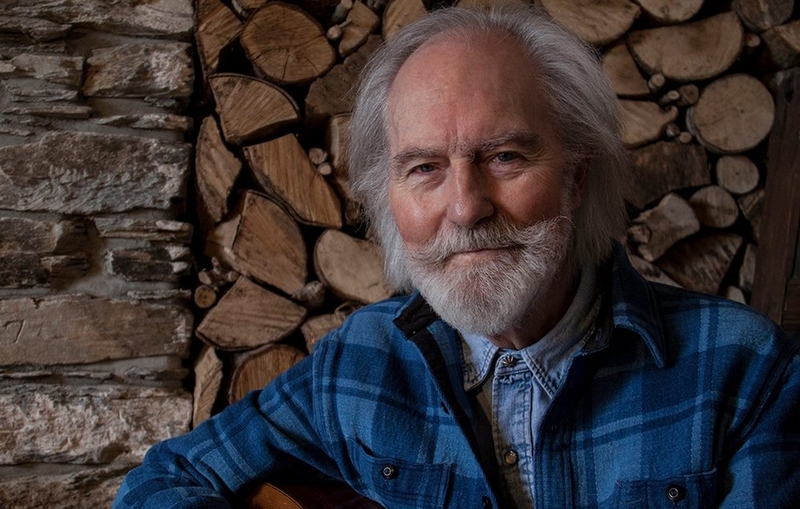 This is exactly what Roy Harper delivered to the masses at the Liverpool Philharmonic Hall this week, performing two sets spread over the space of the evening, with no support act. After arriving onstage slightly late, Harper toyed with the vocal crowd, indulging hecklers with witty responses before beginning his first set with the beautiful Hors d’Oeuvres, to the delight of the previously restless crowd. Harper began the song several times before stopping for various reasons, including to tune his guitar, discuss the lyrics of the song, and taking the opportunity to engage more hecklers in a war of wits. 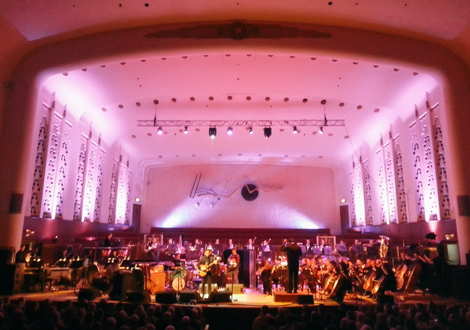 With a beautifully crisp mix coming through the system of the Philharmonic Hall, Harper spellbound the crowd with his epic songs backed by six incredibly capable musicians. Harper’s backing band provided an understated yet elegant backdrop for Harper to perform with. Combining strings, keyboard, electric guitar, bass, trumpet, and drums, the group were often silent, or performing small gestural fragments to compliment the contemplative nature of Harper’s music. This was a truly mesmerising gig. The vocal crowd, who took every opportunity to give Harper their finest selection of quips, fell silent once the songs began. It proved for a strange atmosphere, seeing a shouting crowd to suddenly be quelled by calm acoustic music – truly a testament to Harper’s abilities as a songwriter, a performer, and even as a storyteller. Indeed, the unruly crowd did become a slight test of patience as the concert drew on. What started as a series of well-humoured jests began to wear thin, with Harper generating a huge cheer with the simple words ‘shut up’ while telling a story surrounding one song. Three new songs were interspersed into the performance, which sounded sublime. Lyrics to one such song dealt with life in the early twenty-first century, complete with references to the Kardashians and Love Island. As Harper closed the second set with the haunting When An Old Cricketer Leaves The Crease, it was clear he was not to be let off the hook that easily. As he sat back down to endure yet more heckles, he responded to a request for the Pink Floyd classic Have A Cigar by abruptly shouting the first few lines with what can only be described as as little resemblance of musicality as was humanly possible. Harper did seem to truly enjoy himself at this performance. While the quips from the crowd did seem perhaps a little frustrating at times, of course this all added to the charm of the evening, resulting in a concert that will remain in the memory of those in attendance for some time.